Mount load capacity depends on many variables, not only from the mechanical capacity to handle given weight. 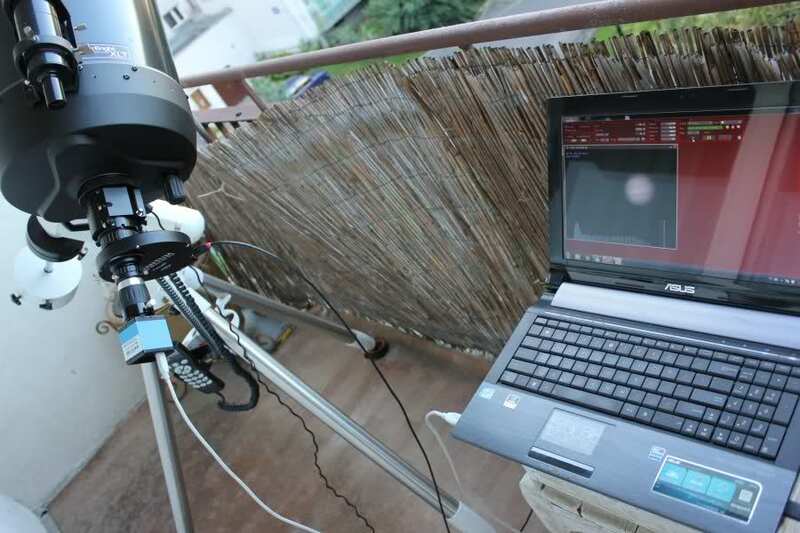 Telescope OTA size, wind buffets, balance and similar factors have a great influence on the telescope-mount setup stability. Popular mounts like SkyWatcher NEQ6 or HEQ5 are relatively cheap, and they can handle quite impressive load - but not always. I've been using C11 on HEQ5 and from some time C14 on NEQ6. Here are my observations and tips on load capacity and binded with it setup stability. If the telescope mass is high when compared to the mount head weight then it can be quite fragile to vibrations from weak wind buffets. In visual observations it's not a big problem, but for imaging it is. For DS imaging it may block any imaging. Guiding won't help as those vibrations are very short. Long OTAs like the Newtonian can also create twisting forces in the mount. A wind blowing on the top of the OTA and not on the back will create flexing force that can move the OTA in the axis or even damage some elements in the mount. 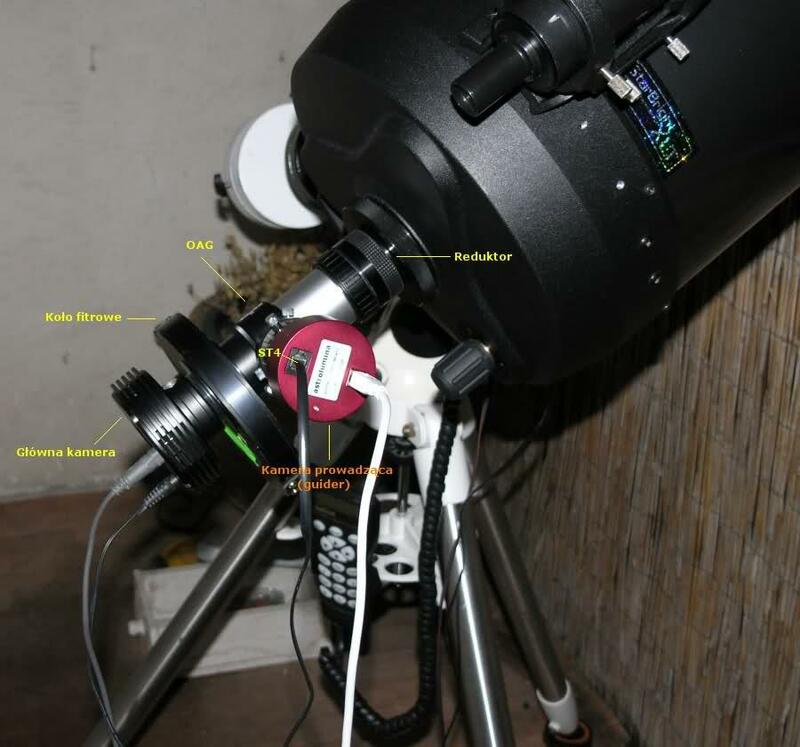 If the setup isn't protected from wind you have to take this into account for biggest Newtonian OTAs on EQ mounts. 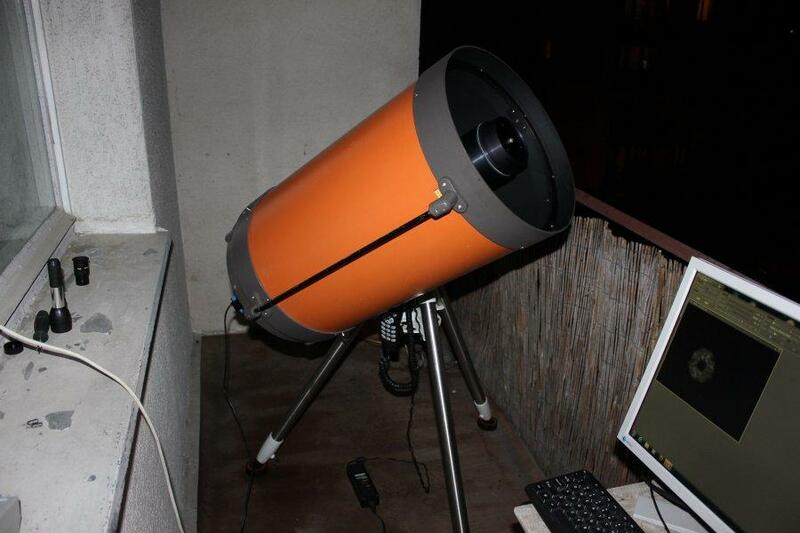 A scope dome is a solution to wind problems. 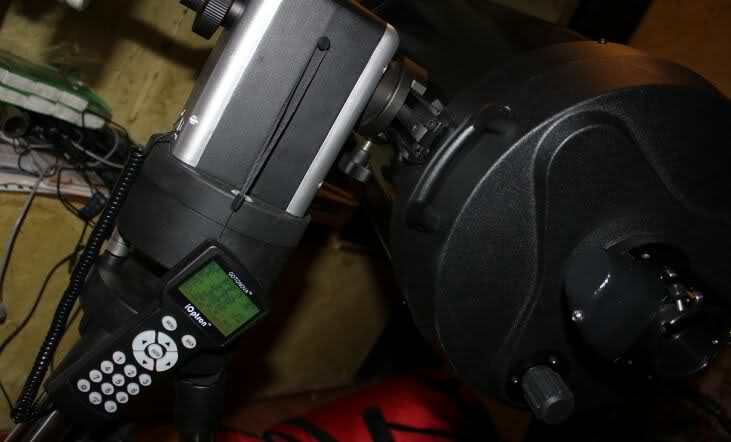 The wind can't hit the side surface of the OTA and the mount can work without any problems. On open ground you would have to use heavier mount or smaller scope to get a stable setup. (or wait for a night with no wind blowing). 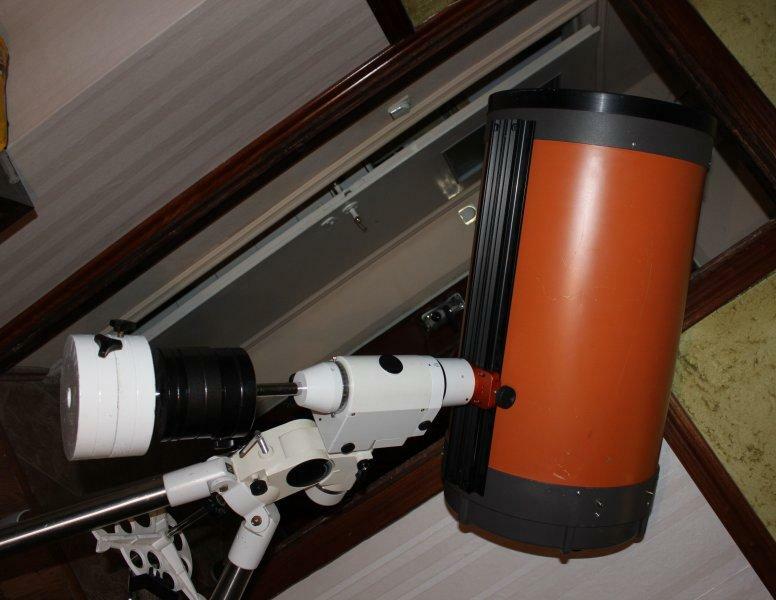 If you are interested in DS imaging and you don't want to spend a lot on the mount or time making everything tracking stable - use a short small APO refractor, even if it would cost more than an average fast Newtonian. Those scopes are small, lightweight - nearly immune to wind buffets and much easier to handle. Perfect balance is essential for smooth tracking. Small imbalance can cause the mount to drift in one direction, and even guiding won't be able to fix that. If the imbalance isn't to strong you will see that the guide graph is very chaotic and unstable. On bigger - the guider won't be able to keep the star in point. If you want to put a heavier OTA, close to the mount load capacity, then you may encounter problems with balancing it. HEQ5 has quite short counterweight shaft. With two 5kg counterweights it can balance setups below 10kg. 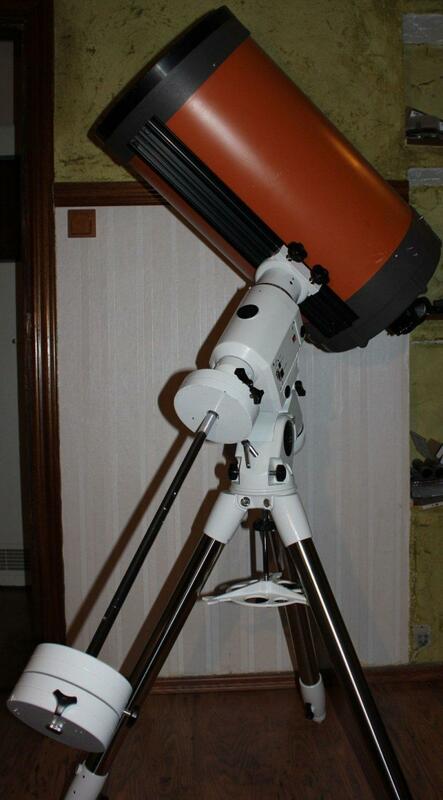 Adding third counterweight won't add much to that value as the counterweight will be quite close to the mount head. To improve counterweight effectiveness we can use a longer counterweight shaft (like those from Teleskop Express). Instead of like 20kg of counterweight we then can use for example 15kg reducing the total mass put on the mount. NEQ6 comes with an extension by default. Additional can be bought in some astro shops. Extending the counterweight shaft makes the lever arm longer and thus the counterweight can balance a greater mass on the opposite side (the scope). Extending can't be done without caution. Long counterweight bar may hit the tripod, the earth or just start bending. Also wind blowing on counterweight on a long shaft may easily induce shakes. On the other hand you usually would need a "short" extensions of few or more centimeters to improve the counterweight efficiency to balance the OTA. Mounts put on balconies, or other rigid surfaces (like concrete) can move vibrations from the ground to the mount and scope, or bounce back mount vibrations back to it. To prevent this you can use anti vibration pads. The have a flexible plastic layer inside that suppress the vibrations. In my case the anti-vibration pads limited shakes caused by wind (no bouncing back and forth), and also eliminated shakes propagation from the building (like when someone slams the front doors).